Ovals are made of Low- Density Polytheylene, natural. 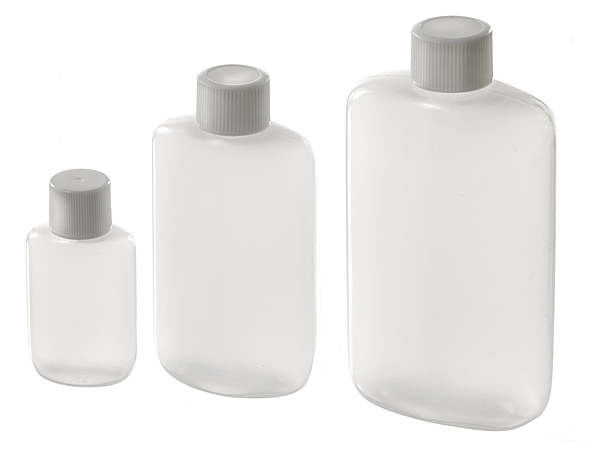 These bottles are excellent for dispensing many types of liquid. They include a white polypropylene cap. 1/2 oz. through 22 oz. available.